It’s no understatement to say that Nokia is the most visible mobile maker using Microsoft’s Windows Phone platform. In fact, arguably, the Finnish company is more visible than Microsoft itself, and a new report has shed light on that relationship, revealing that Nokia accounted for 59 percent of all active Windows Phone handsets worldwide, 32 percent in the US, last month. Both companies have a lot to gain together as respective ‘comeback kids’ in mobile: Nokia has long been dethroned as the smartphone champion, while Microsoft is yet to replicate its colossal PC presence on mobile devices. Together they are relying on each other to advance their respective objectives. The mutual reliance is illustrated by data from mobile app measurement firm Localytics which shows that Nokia — which has received a reported $750 million to date to become a Windows Phone partner — dominates the pool of devices powered by Microsoft latest operating system, having steadily increased its share from an initially modest presence at the start of 2012. 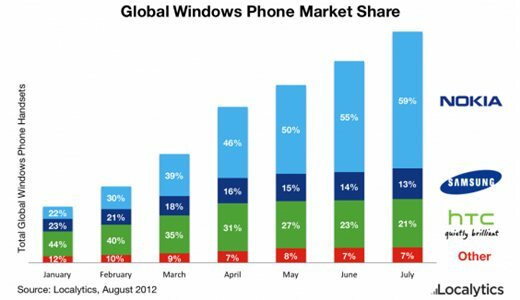 Globally, Nokia launched its first Windows Phone device in November 2011, and this year its share of Windows Phone in the market has leapt to 59 percent last month from 22 percent in January. Europe, in particular, saw good progress in July, according to Statcounter. It’s also worth noting that, in turn, Samsung has been diluted from 23 percent to 13 percent during that period and troubled HTC has shrunk to 21 percent from 44 percent in January. In the US, where the public waited until January for the first Nokia Lumia launch. Sales figures have been called disappointing by some but, nevertheless, Nokia is the key flag-bearer for Windows Phone, having rocketed up to account for almost one third (32 percent) of devices in the country during July. 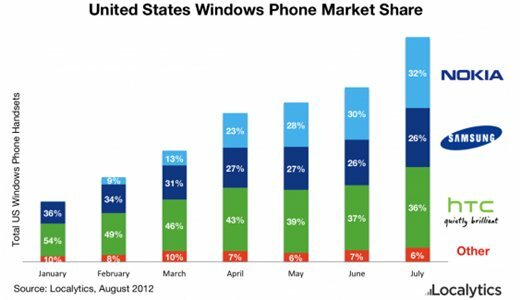 It should be noted that HTC has the largest share of Windows Phone devices, despite Nokia’s rise. The Taiwanese firm and Samsung have both seen their shares drop since Nokia launched its WP devices Stateside, though. Rather than relying on partners like Samsung, who is heavily invested in expanding Android’s dominance, Microsoft has in Nokia a partner with as much riding on mobile Windows success as the Redmond-based software giant. 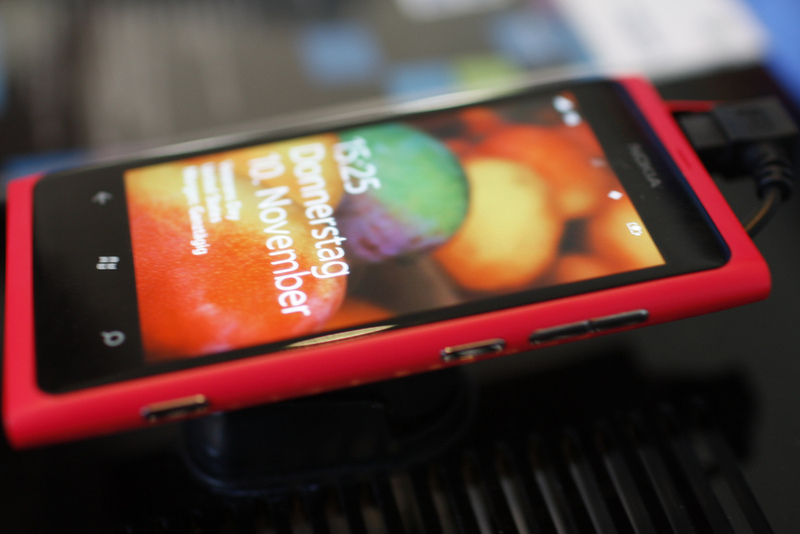 Nokia is still very much focused on promoting the Lumia range, and devices like the PureView 808, in the US, despite the fact that the phones are not upgradeable to Windows 8. It will also have an important role to play for the Windows 8 platform — aimed at uniting mobile, tablets and PC — which Microsoft is set to launch on September 5.